• 1919 sqft , 3 bath , 3 bdrm single story – FOR SALE USD799,000 . Luxury abodes in this 1,919 sq. 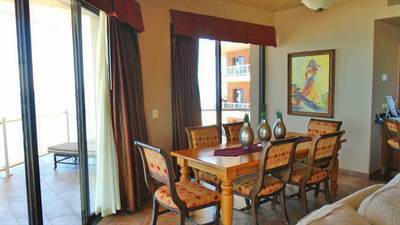 ft. 3 bed, 3 bath, Fully Furnished Beachfront Condo, Seller Financing!! Wrap-around end unit affords the most spectacular panoramic view of the Beach & Old Port from the spacious covered patio. All the Phase 2 upgraded trims included in the Grand Kitchen with Luxurious Granite Counter tops, Great Living/ Dining room with fabulous views. Two Master suites, one with private entry. Las Palomas is the most popular resort with Exercise Facilities, Restaurants, Grocery, Room service, Swim up Pool Bar, tube float around the lazy river, or play golf on the 18 hole Championship Golf Course! 24 hour guard gated community.